Despite the emir’s reluctance to admit the city will perish, Amrath forms his defenses in preparation for the oncoming onslaught. The Mongol, led by the crazed khan, Kabul, are on their way. Destroying villages and anything on their way to Samarkand. Soon, the city’s is breached and a full force attack begins. Kabul’s horde is braced meet Amrath’s mighty army, awaiting the final clash of swords…Sharon has only one choice to make: to stay and try to survive – or run. 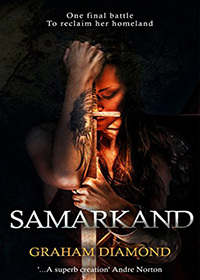 If she escapes, there is no promise that her people could ever reclaim Samarkand, her homeland. 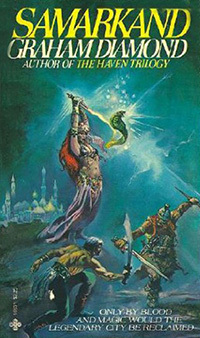 Fleeing to the hills against the burning backdrop of her former home, she meets the tribe of the Kazir. The seers of the Kazir people prophesied that the Kazir people would once again rule Samarkand.